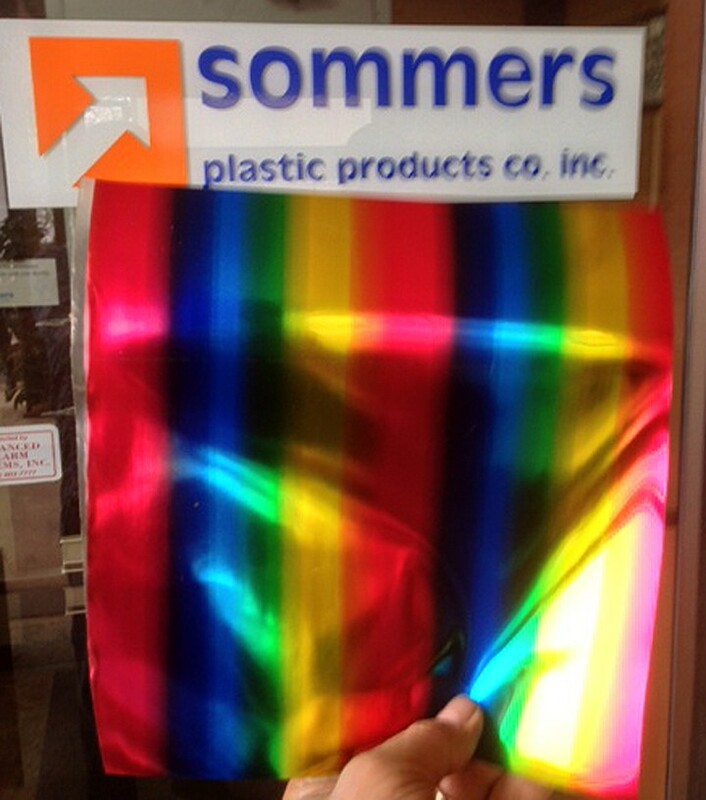 Rainbow hot stamp foil laminated to unsupported .010 x 24" PVC. RF Weldable. Note: Limited inventory will not be reproduced.